From this summer holidaymakers travelling with Celebrity Cruises will have the chance to quench their thirst for wine knowledge. The leading modern luxury cruise line is introducing five new shore excursions designed in partnership with the highly acclaimed international TV series The Wine Show. The quintet of tantalising tours, offered across selected sailings on-board Celebrity Constellation, Celebrity Reflection and Celebrity Silhouette from May to October 2017, will give budding sommeliers an insight into the stories behind some of the world’s most revered wine producers. Having refined their palate, the new excursions will also help guests enhance their appreciation of Celebrity Cruises award-winning on-board wine collection. From savouring the fruits of privately-owned vineyards to guided tasting and pairing sessions, specialists from some of Europe’s most celebrated wineries will decant their wine-related wisdom for guests across France, Greece, Italy and Spain. For added insight, Celebrity Cruises will also be offering exclusive excursions under the expert guidance of The Wine Show’s resident wine experts; Joe Fattorini and Amelia Singer when they join selected sailings during the wine harvest this autumn. Joe will join the 11-night Best of Western Mediterranean fly/cruise on-board Celebrity Reflectiondeparting from Rome Civitavecchia (Italy) on 11 September. 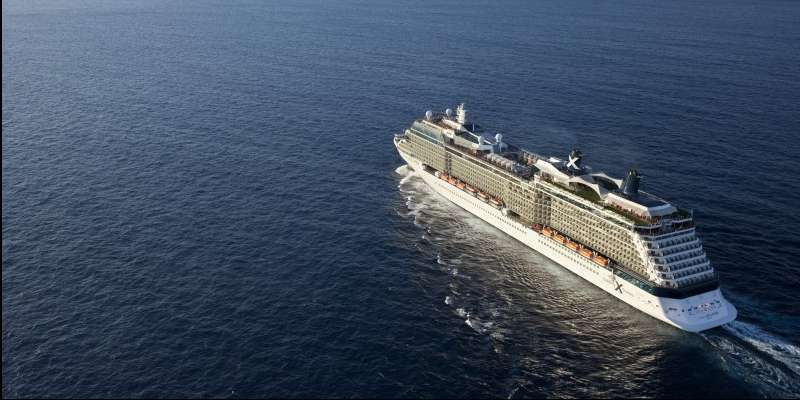 Amelia will also be on board Celebrity Reflection for the Best of Western Mediterranean cruise with the same itinerary but departing on the later date of 9 October. Visit to the award-winning Argyros Estate: With Greece boasting the accolade of Europe’s first wine-producing territory, this Santorini tour delves deep into the country’s viticultural traditions. Having met Mr Argyros – the winery’s 4th generation owner – passengers will sample five of the estate’s superior-quality wines, including its rare 20 year old Vinsanto collection. Priced at $199 USD. Winery tour with tasting at Chateau de Cremat and Discovery of Old Nice: Best known for its rosé wines, the Chateau’s vineyard heralds back to the 3rd century BC, making it one of the oldest in France. Having explored the origins of the Bellet appellation, wine-lovers will indulge in a gastronomic pairing experience in Nice’s Le Grand Balcon. Priced at $325 USD. Wine tasting at Villa Nittardi – where wine meets art for an unforgettable experience: An intimate visit to Villa Nittardi; a historic vineyard with a deep connection to Italian art, whose wine famously fuelled Michelangelo while painting the Sistine Chapel. Having savoured the estate’s Chianti Classico and Sangiovese grapes, a tour of the estate’s prized art collection offers the perfect finish. Priced at $380 USD. Journey to Bodegas Torres: Honour Spain’s rich wine-making tradition at the Bodegas Torres, whose historical cellars have innovated the country’s wine production for more than three centuries. Just 30 miles from Barcelona, discover how the brand is innovating wine-making with its eco-conscious approach before indulging in a tapas and Torres taster session. Priced at $195 USD. Pallavicini Winery: where history, family and landscape are intertwined: Whilst this family dates back to Roman times, this shore excursion reveals how one of Italy’s oldest noble families has become so deeply intertwined with the country’s history. The picturesque Lazio wine region is famous for its Frascati grape variety, making a hosted tasting of the elixir known as “Golden Wine” by the ancient Romans at the spectacular Osteria della Colonna an experience to treasure. Priced at $229 USD. The personalised shore excursions hosted by The Wine Show presenters, start from $195.00 per person. For more information on The Wine Show partnership and to book a Celebrity Cruises holiday please call 0800 441 4054, visit celebritycruises.co.uk/the-wine-show or talk to your travel agent.